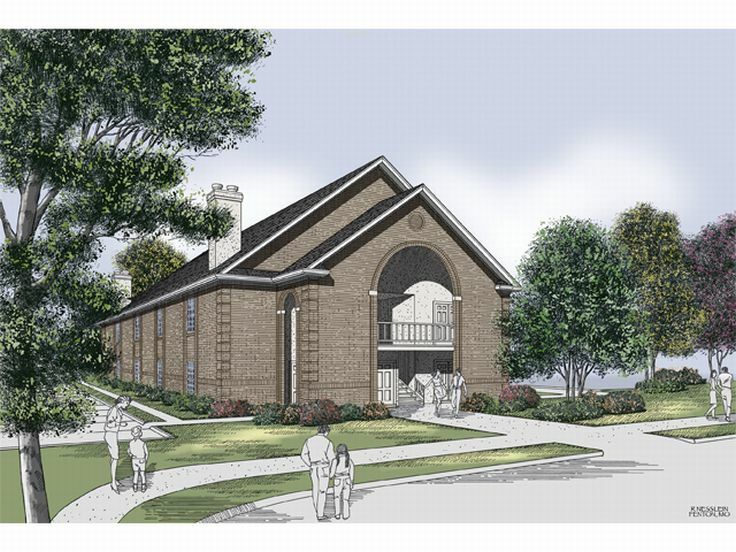 Multi-family house plans are available in a wide variety of sizes and architectural styles. These home plans are fashioned with the appearance of one structure, but feature two or more living units that are separated by floors or walls. Multi-family house plans are used in areas where space is limited providing housing for families when there isn’t enough room or economic means for everyone to own a single-family home. Additionally, they work well as investment property allowing the building owner to rent units to others. Some multi-family house plans offer basic floor plans with just the necessary space needed for basic living while others are more luxurious and deliver more sophisticated spaces and features. There are four main types of multi-family house plans to consider whether you are looking for a place to live or want to build an investment property. Duplex House Plans – Duplex house plans are multi-family plans composed of two living areas separated by a wall or the floor. A duplex is more economical to build than two separate, single-family homes because one duplex requires fewer building materials that two individual homes. While designed as one structure, duplex house plans feature two distinct entrances giving each family or tenant privacy. Duplex house plans are commonly found in highly populated areas where there is a demand for housing, but space is limited. Additionally, they are often built near collages where there is a need for affordable housing on a temporary basis. In this case, a duplex is often built as an investment property. 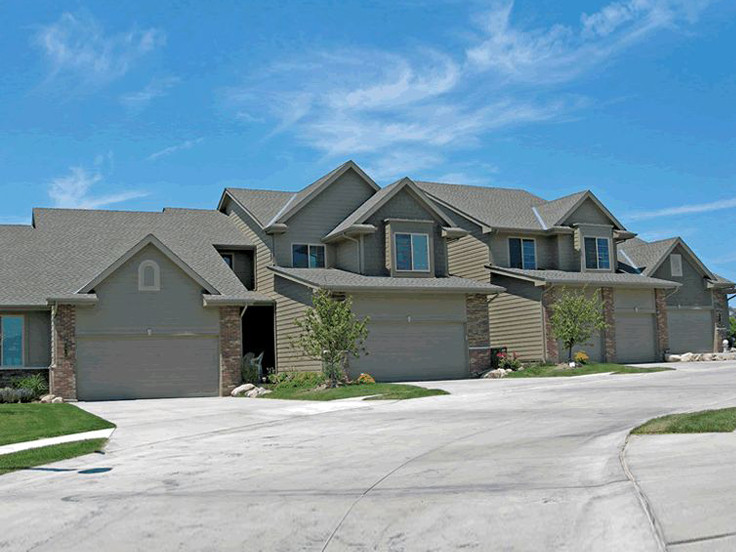 Townhouse Plans – In most cases, townhouse plans are a little more high-end than a typical multi-family house plan. Their exteriors usually feature extra decorative details while and their floor plans often include special elements and features not found in a typical duplex or apartment design. Some examples of special features include stone accents and window shutters on the exterior and decorative ceiling treatments, plant ledges and built-in cabinets on the interior. 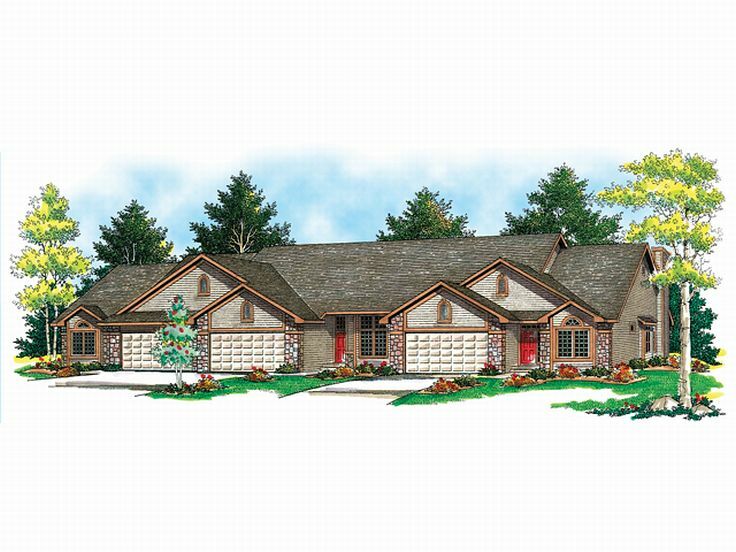 Townhouse plans are generally designed as single-family homes connected to a similar house by a side wall. Each unit may have its own exterior character, but blends seamlessly with the adjoining homes providing dynamic curb appeal. 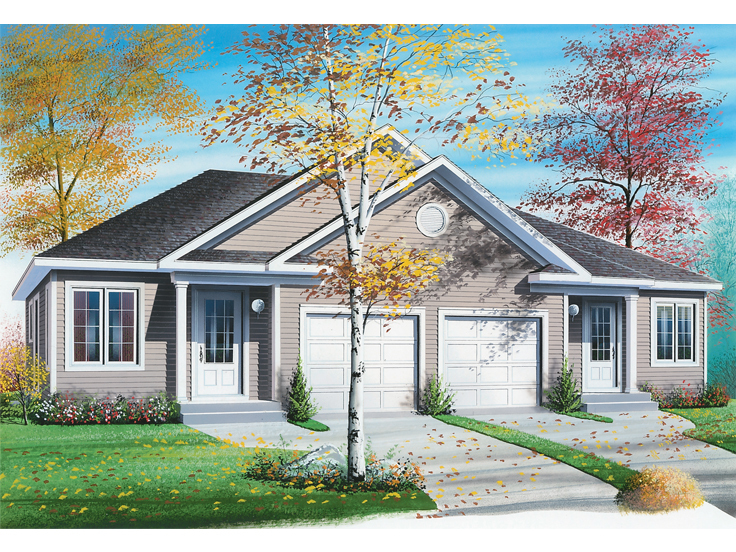 Additionally, a variety of floor plans better accommodates the individual needs and preferences of each homeowner. Townhouse plans are known for saving space when housing is at a premium while still delivering comfortable and individualized living units to the occupants. 3-4 Unit Multi-Family House Plans – Triplex house plans and four-plexes are multi-family house plans designed with three or four units that are separated by walls, floors, or both. They can be one or more levels, and they can feature the same floor plan or layout per unit, or each unit might have its own individual floor plan. These house plans are designed to offer the same comfortable and functional living quarters offered by a single-family home. 5+ Unit Multi-Family House Plans – This collection of multi-family designs consists of floor plans that offer five or more units. Some of these plans are considered apartment plans featuring numerous units separated by walls and floors. They are typically found in densely populated areas where there is a high demand for individual living space or there is very little usable land that can be developed for residential living. Apartment plans are designed to accommodate several family units within one structure, and most are used as investment properties. Apartment plans are usually designed for the purpose of offering affordable, temporary housing. Designed to offer individual living units to multiple families at one time, multi-family house plans are space-efficient and economical while delivering the comfort and accommodations of a single-family home.